Adjustments to allow for a drifting satellite have found UAH temperatures to be flatter than previously estimated. As a consequence, Armstrong’s bet is safer than before. Gore’s forecast errors to date are 16% larger than the errors from Armstrong’s no-change forecast, and the no-change forecast of global mean temperatures has so far been more accurate than the Gore/IPCC forecast for 67% of the months covered by the bet. For the latest month (September 2012) and revised series, see the updated chart in the right column. 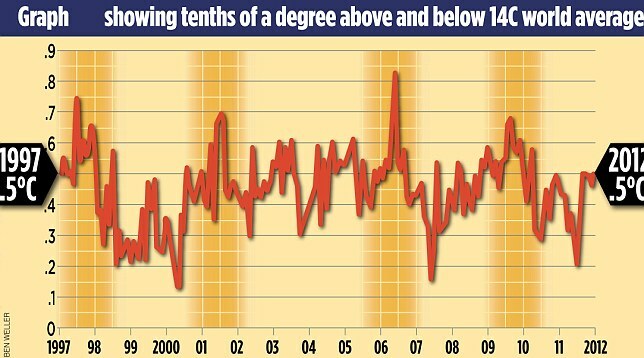 The warming alarmist Met Office’s own figures, released without fanfare last week, show no global warming for 16 years. Does that mean we have had 16 years of “dangerous manmade global equilibrity”? Or should that be, 16 years of “beneficial manmade global temperateness”? Who’d have guessed? As readers of these pages will know, this is just what Kesten Green, Scott Armstrong, and Willie Soon found to be the best forecast of global mean temperatures in their paper titled “Validity of climate change forecasting for public policy decision making“: No change. This is also the forecast that Scott Armstrong has issued to challenge Al Gore’s forecast of alarming manmade warming. The Mail‘s article is here, and their temperature graph is below. 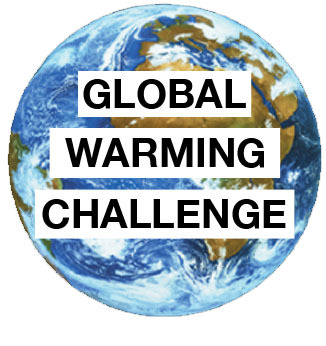 Further discussion is provided by the Global Warming Policy Foundation, here.